In case you would like to propose yourself as a reviewer for Spectrochimica Acta A: Molecular and Biomolecular Spectroscopy (SAA) use our reviewer recognition platform. There you can create an entry on the page "My Elsevier Reviews Profile". This will create a standard, Elsevier-wide way of recording and acknowledging your efforts. 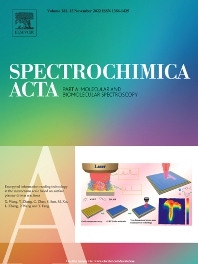 In order for your application to become a reviewer to be considered by the editorial team of Spectrochimica Acta A, please fill out the online form at: https://www.reviewerrecognition.elsevier.com/reviewmore/?journal=SAA.